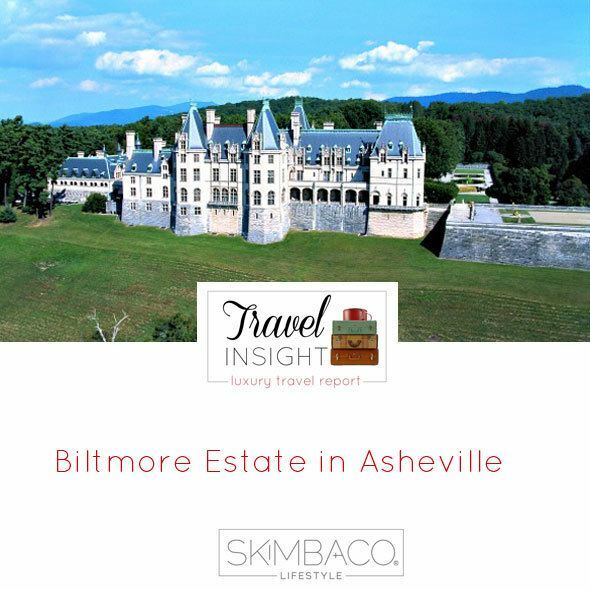 Travel Insight: Traveling with Kids to the Biltmore Estate in Asheville, N.C.
Set on 8,000 acres in Asheville, North Carolina, is America’s largest home, The Biltmore Estate. 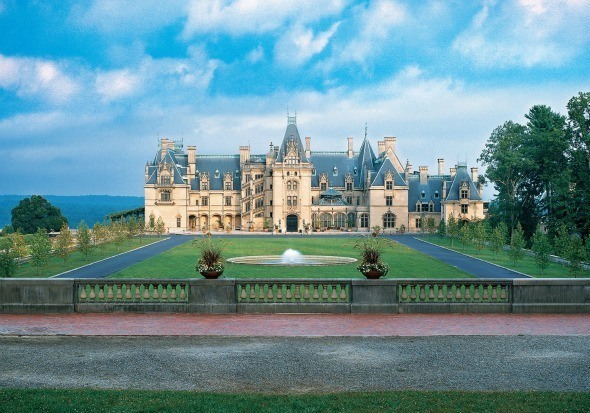 This gorgeous, 250-room, French Chateau mansion, built by George Vanderbilt in 1895, is impressive, and it is a top tourist attraction for North Carolina. The winter season (January-March 20) is the estate’s low season, so there are fewer crowds, and guests get extra perks like complimentary audio for the house tour. Also in the winter, children under the age of 16 get free admission to the estate with a paying adult guest. All other times of the year, children under the age of 9 are free with a paying adult guest. It was the perfect time for my family to visit the picturesque estate. On the February weekend we visited, North Carolina had record freezing temperatures, and the high was 25 degrees in Asheville. Yes, it was cold, but it didn’t stop us from having the time of our lives. Some people may think I am a little crazy for taking two kids, 7 and 3, to a house with beautiful antique furnishings where you can touch nothing on an hour-and-a-half house tour. Sounds scary, doesn’t it? But it’s not. The Biltmore Estate welcomes children and even caters to them by providing fun things in its guides like “I Spy” with Cedric the dog, which was the Vanderbilt’s loving St. Bernard. Children are encouraged to find things like a rabbit and a rooster in the library or three acorns in the banquet hall. My son loved the house tour. If you go when the audio tour is not complimentary, definitely pay the extra $10 for it. I can’t imagine touring the house without the audio guide. Your other option in all seasons but winter is to take a 90-minute guided tour at $17 per person for a more-in depth look at the house. The house tour was a fantastic learning experience for him. My 3-year-old did well for her age. We only had to pick her up off the floor a couple of times and tell her not to play with the theatre-type velvet rope about a hundred times. Not bad, right? I finally told her that if she completed the tour that we would celebrate at the Biltmore Creamery with a big scoop of ice cream. That worked! In addition to the regular estate house tour, the Biltmore offers extra tours at an additional cost. Not all are available in the winter season, but as soon as the spring season rolls around on March 21, all additional tours will be in full swing. A guest favorite is the architect’s tour, which gives visitors a glimpse of areas not normally on the tour, as well as some great rooftop access for some picture-perfect, camera-ready moments. With the popularity of the series “Downton Abbey,” the Butler’s tour fills up quickly, too. 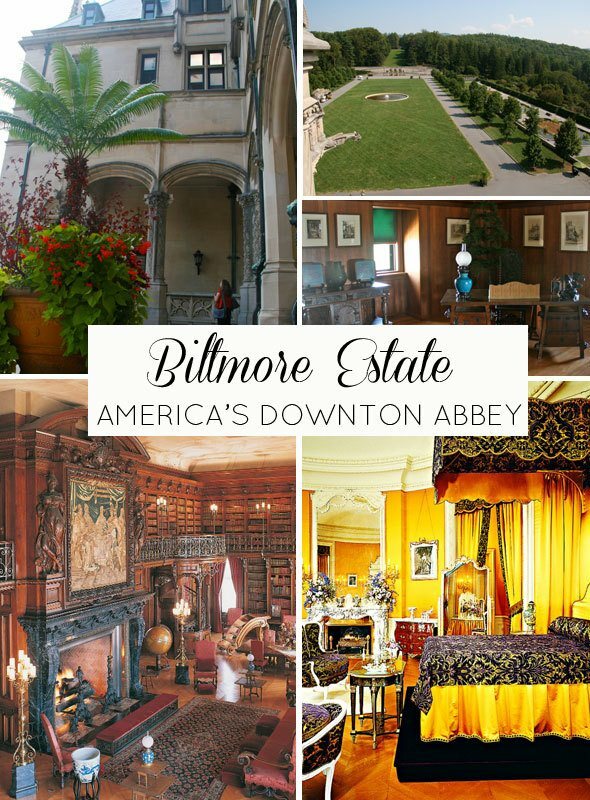 The popular PBS series is set in the very same time that the Biltmore Estate was in its full glory, and Mr. Vanderbilt entertained guests from all over the world just like the residents of Downton Abbey. On the Butler’s tour, visitors learn how the domestic side of the Biltmore house functioned, and they see some unrestored rooms and mechanical areas. The main tour was enough for my 3-year-old on this visit, so I didn’t get a firsthand glimpse of this tour, but I think you should put it on your agenda if you have visited the house before or have kids who are old enough to handle the additional tours. I enjoyed the tour of the private bedrooms. I could have made myself at home in Mrs. Vanderbilt’s room. 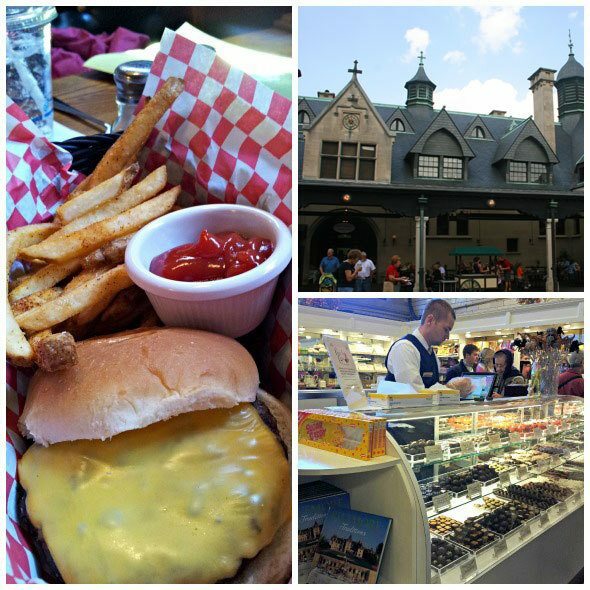 A visit to the Biltmore House and Gardens is not complete without lunch at the Stable Café. It’s so much fun to dine in an area that used to be reserved for the horses. I’ve eaten at the Stable Café several times through the years, and the food is great. From burgers and fries to soups and salads, there is something to please everyone. This restaurant is open from 11 a.m. to 3 p.m. After dining, the Biltmore shops in the stable will delight the inner shopper in you. I love the Confectionary for sweet treats. 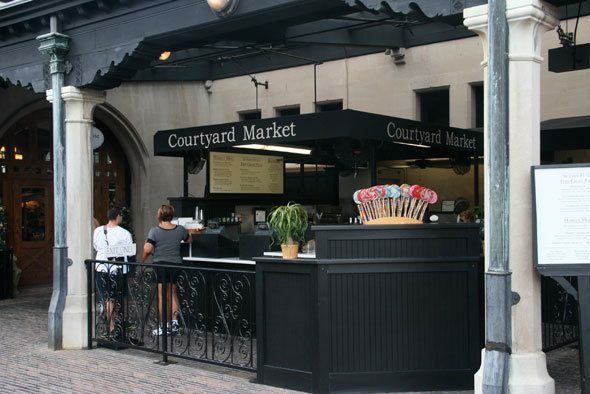 On spring days, the courtyard is a great place to have a latte from the Bake Shop, a scoop of ice cream or a quick bite at the Courtyard Market. The Bake Shop is the only establishment open during the winter season, but all three will be open in a few short weeks. As I mentioned, it was 25 degrees in Asheville on the day we visited the Biltmore Estate. It’s no secret that our time outside was limited. However, included in your estate admission is a self-guided tour of the beautiful gardens designed by landscape architect Frederick Law Olmsted, who was a designer of Central Park in NYC. The gardens are starker in the winter, but there are still things to see on the tour for every season including the orchids. It was too cold for us on this day to take the walk to the conservatory from the house. On any other day, it would have been a great place for the children to explore and get out some energy. Biltmore is now in the spring season with the Festival of the Flowers now through May 31. 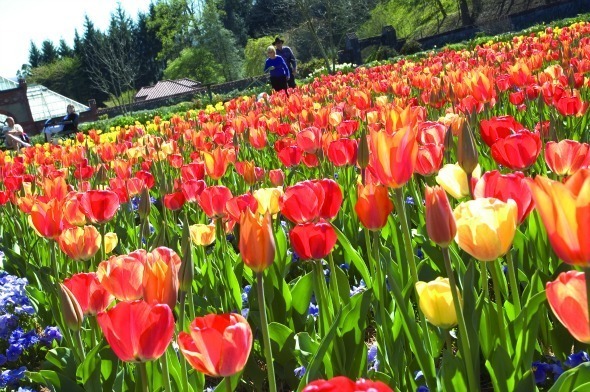 Tulips, pansies, and azaleas will take your breath away during this beautiful time on the Biltmore Estate. In addition, there will be special events on the estate. This will be a perfect time to visit the estate with kids. Since we skipped the gardens on this frigid day, we headed to the winery and the attractions at Antler Hill, which is also included in the estate admission price. 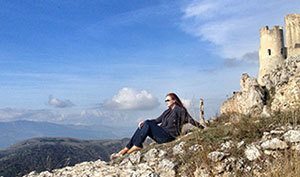 I will have more on these fabulous destinations next week. 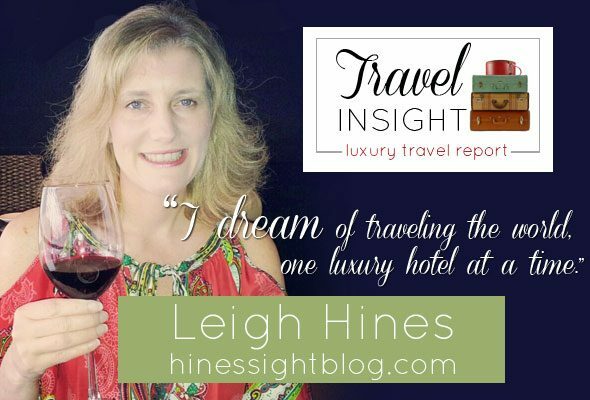 Be sure also to visit the Hines-Sight Blog in March for more in-depth coverage of the Biltmore Estate and a look at the Inn on the Biltmore Estate. 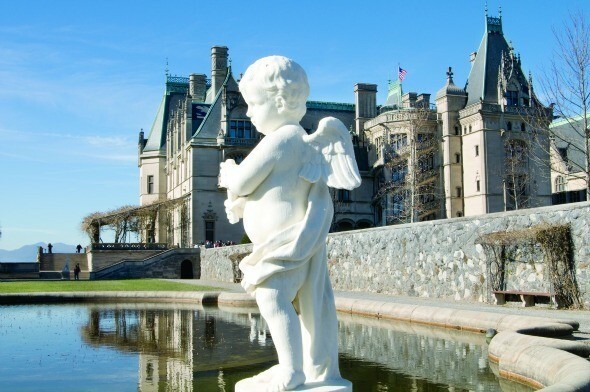 To plan your trip to the Biltmore Estate and Asheville, N.C., visit Biltmore.com and Explore Asheville. com. Disclosure: I was a media guest of the Biltmore Estate on this visit. Estate admission was free for my family, and I received a complimentary rate to stay on property. All other costs while staying at the Biltmore Estate were my own expenses. We went to Biltmore Estate in April 2017 when I was 2.5 years old. Thankfully they allow stroller and I kept pretty good in my stroller for the house tour. Overall we spent a whole day here exploring the house, gardens, and Antler Village. Definitely a must do in the Asheville area. I’m visiting Asheville this Christmas season and thinking of taking my 3 grandkids — ages 11, 6, and 5 to the evening Christmas tour. I’ll be alone, but am thinking that the wonder of the lights and trees will keep them spellbound. Any tips or ideas for me? I enjoyed Biltmore Estate in the snow 2 days ago. Highly Recommended to kids and grownups. I enjoyed Biltmore in the snow 2 days ago. Highly recommended to kids and adults! Going with my boys ages 3, 5 and 8 in December. 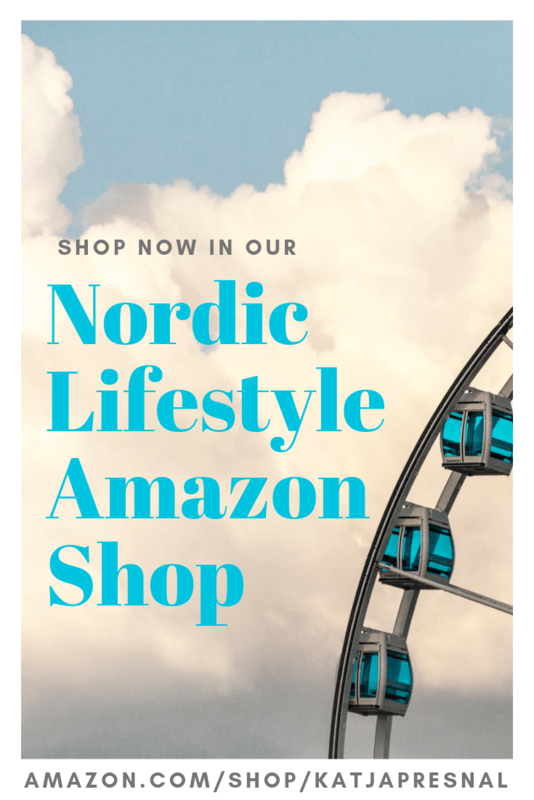 Would you recommend the audio tour or the guided tour? I hope you have a wonderful time. I e-mailed you directly today with some tips. They do have a kid’s audio version now. I think the architect’s tour would be fun as well. 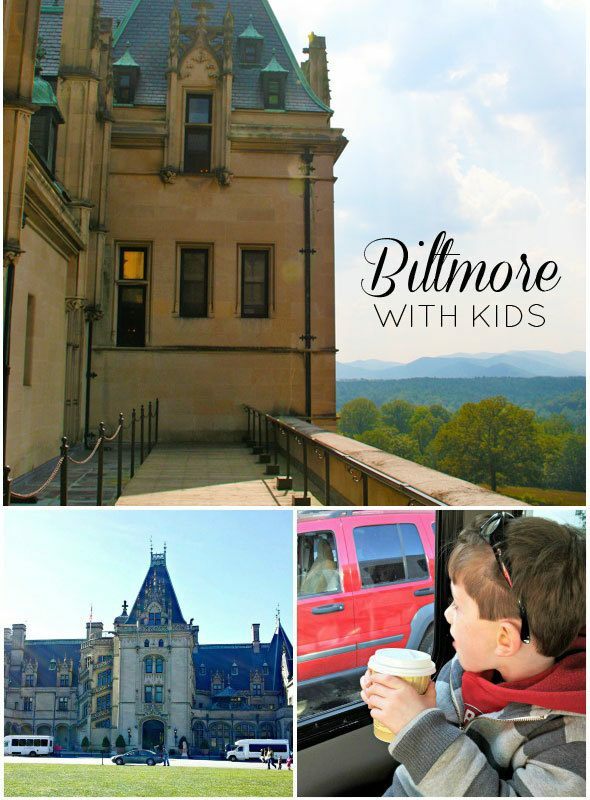 We’ve been to Biltmore many times, but never with kids. I think I’ll plan a trip with the Grandkids for the near future. I like the “I Spy” idea. Cheers! Lori, you would enjoy it.